SPOKANE (Scrap Monster): According to latest government data, the exports of scrap plastic by the US surged higher during the month of August this year, in comparison with the previous month. Also, the exports climbed higher when matched with those during August 2013. The exports of recovered plastic during the initial eight-month period in 2014 maintained higher levels when compared with the exports during January to August in 2013. 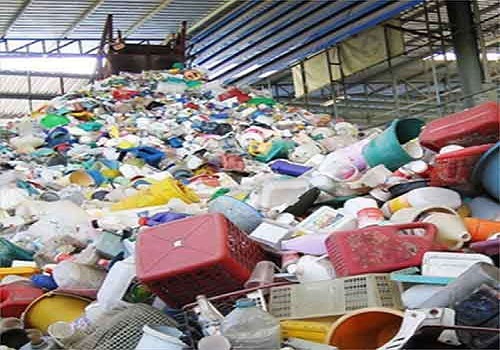 The country’s exports of plastic scrap during the month of August 2014 totaled 444.72 million pounds. When compared with the exports during July 2014, the volume of exports was up by 12.5%. Also, the exports surged by 25.9% when compared with those during August 2013. The weighted price of scrap plastic exports during August this year amounted to 20.47 cents per pound. The weighted price saw marginal rise of 4.3% from July 2014 levels. The weighted price of scrap plastic exports during July this year had amounted to 19.36 cents per pound. Upon comparison with July 2013, the weighted price was slightly down by 2.3%. The US exports of recovered plastic during the initial eight-month period of the year amounted to 3.17 billion pounds. The exports were higher by 16.5% when compared with the exports during the corresponding eight-month period in 2013. The average price of scrap plastic exports during the period from January through August in 2014 was 19.77 cents per pound, which is 3.3% down year-on-year. According to estimates by Chinese Ministry of Environment Protection, the scrap plastic import volumes by the country during 2014 are most likely to surpass 2013 levels. The scrap plastic exports from US are projected to remain robust during the remaining months of the year, it noted.